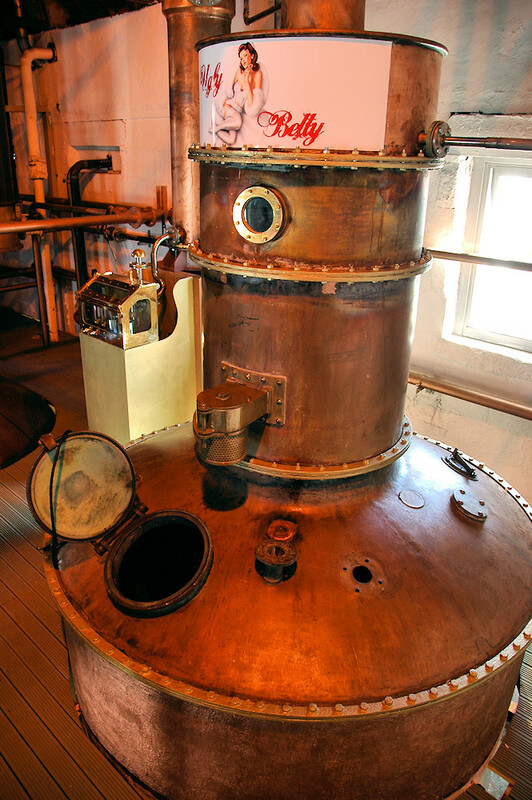 An unusual still at Bruichladdich distillery, the Lomond pot still named Ugly Betty. This picture was taken while it was still being restored, before it was started to distill the Botanist gin. This entry was posted in Distilleries, Repost, Sunny Weather and tagged Bruichladdich, Islay by Armin Grewe. Bookmark the permalink. I don’t particularly care for gin, but I bought a bottle of The Botanist for three reasons : Islay, Bruichladdich Distillery, Jim McEwan.